Chautauqua County is known for being a great area for hunting. With bow season just kicking off over the weekend, we thought it would be helpful to focus on some hunting property that is on the market. We've also put together a quick page with our WNY hunting properties. This 29.7 acre is an outdoor haven. This camp has numerous treestands and feed plots around the property, and black bear, whites tail, and turkey are frequent visitors. Outbuilding have well, septic, and underground electric. ATV trails run throughout the property, there is a bass stocked pond, and even 100 trees tapped for maple syrup. Listed at just under 90k check out this great property for lovers of the outdoors. 36 acre hunting property and camp. 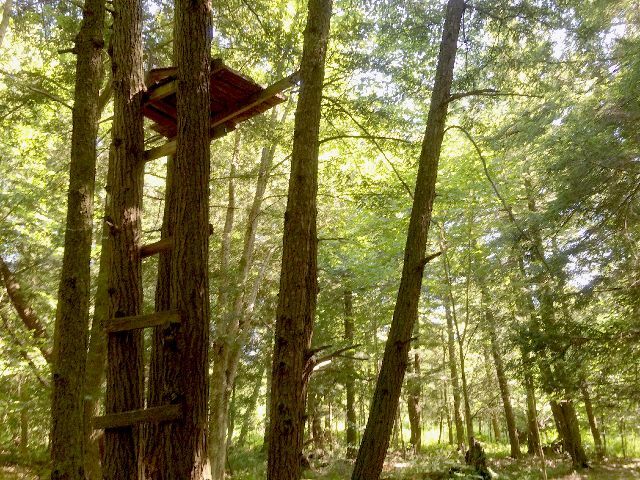 Several tree stands in place. Cabin has electric, propane heat, well, and septic. Barn for storage and toys, ATV trails throughout property. Over 34 acres of vacant land. 14.9 acres with 9 wooded acres with small stream. An established driveway leads way for potential campsite. Roughly 28 secluded acres, teeming with wildlife. Primarily wooded, with clearing near road. Wooded acreage with small stream and updated tree-stand. Could be used as private hunting camp with 12 x 24 Cabin built in 2010 and updated this year in early 2016. Gated entrance with electric at the road. Just down the road from the Marden E Cobb waterway, this 49 acre parcel is mostly wetlands, with a 8 acre buildable area by the road. Far more of a homestead than a strictly hunting properly, this 3000+ square foot, 4 bed, 2 bath sits on 117 acres the majority of which are wooded. The property is also conveniently situated by Peak ‘n Peak for skiers and golfers, and by the snowmobile trails. 4 bedroom, 2.5 bath home situated on a picturesque 52.9 acres, with a finished basement and attached two-car garage, has free gas. f you enjoy outdoor recreation, this is truly a dream come true! You can keep your horses in one of the two barns located on the property. Enjoy riding the trails and seeing the grounds with two ponds or scenic wooded areas and treestands without ever leaving your property. 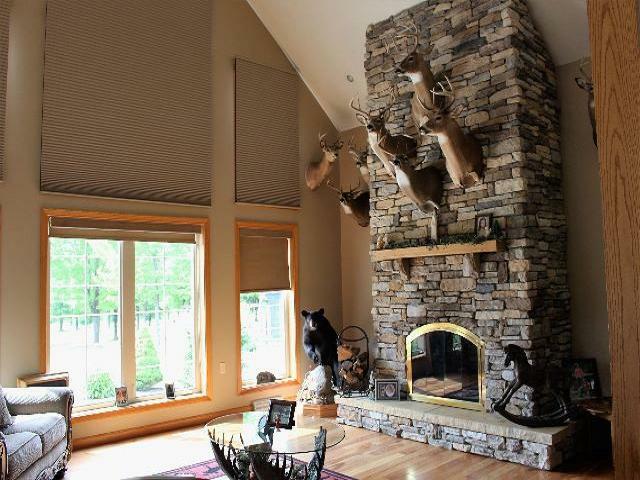 The acreage is rich with game as many of the trophies around the fireplace were taken on the property. Beautiful log cabin home sits back of the road on a 72 acre lot (35 wooded) with creek and waterfall. Large three car garage, wood burning fireplaces perfect for a year-round home or a hunter’s paradise. For more information on licensing, seasons, public land for hunting, and more visit the state DEC site.